Pick any two, but you cannot have all three: if you want good quality at a fair price, you must identify and procure in plenty of time. Similarly, if you want top quality immediately, it is going to cost a lot of money. Stewart Consulting understands these factors and works with the Owner to ensure timely and accurate decisions optimize time, cost and quality. Design: The closer you get to a comprehensive design, the fewer problems you have down the track. The optimum level of design, however, varies by project and by client. 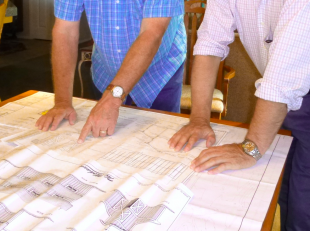 Stewart Consulting will work with the architect on your behalf to identify and reach the optimum design level for your project, so that you don’t pay for more or less than you need. Contract preparation: Where do contract form documents come from? Which contract form is appropriate for your contract? Knowledgeable about numerous contract types, Stewart Consulting can advise on which form will work provide the flexibility and assurances you need. Contractor selection: An expert in your corner, Stewart Consulting helps you select reputable contractors, insures you get value for your money and that specified levels of quality are achieved for the specified cost. Scheduling: Reputable contractors have the necessary tools and expertise to develop and maintain a construction schedule. Stewart Consulting makes sure that both owner and contractor monitor progress and insure timely completion of your project. Cost control: The final cost of the project and cash flow are equally important in a construction project. Lien laws can be unfair and can create huge financial problems if costs and progress payments are not handled properly during construction. Stewart Consulting can help you keep the contractor honest and protect your bottom line. Negotiating contract terms, price, duration and levels of quality normally take place before a contract is signed. This is often the most sensitive phase with respect to the ultimate cost of the project. Stewart Consulting will work with owner and contractor to insure fairness prevails and the Owner is protected at this critical time. Once your job is under way, smooth completion means keeping an eye on the clock and providing prompt and informed input. Stewart Consulting gives you quick and clear assessments of options, risks and probable outcomes putting you in a position to make informed, timely and essential decisions. Critical Path Method (CPM) schedules: Competent contractors develop CPM schedules to both think through the project at the start and to have a road map of how to arrive at the finished product. Equally important, the CPM schedule allows contractor and owner to monitor progress and accurately predict the completion of your project. Stewart Consulting works with your contractor to ensure a comprehensive and reliable CPM schedule is developed and used as a management tool. Finances: When you’ve got expert and impartial advice on where investment is critical and where it’s safe to cut costs, you know you are paying a reasonable price for a job well done. Stewart Consulting keeps you in financial control, so, before you make a decision, you understand the true cost of what might look like minor changes. We use earned value techniques to continually analyze the financial status of your project. This means you get an independent check of production progress so you can assess budget projections accurately and with confidence. Dispute avoidance and resolution: With more than 15 years of experience as an expert witness in cases of troubled construction, if it can go wrong, odds are David’s seen it. Disputes always disrupt the owner-designer-contractor relationship, and affect the progress and quality of the work, not to mention morale. By keeping an expert eye on all parties, David facilitates open and transparent communication between you and the contracting community, nipping potential problems in the bud. Construction claims have become big money in the construction industry. They are always expensive and you, the owner, will always bear the original cost burden. It takes a lot of complex analysis to defend yourself and calculate damages. Stewart Consulting offers professional services that mitigate conflict and make sure your project is completed on-time, within budget and without disputes.